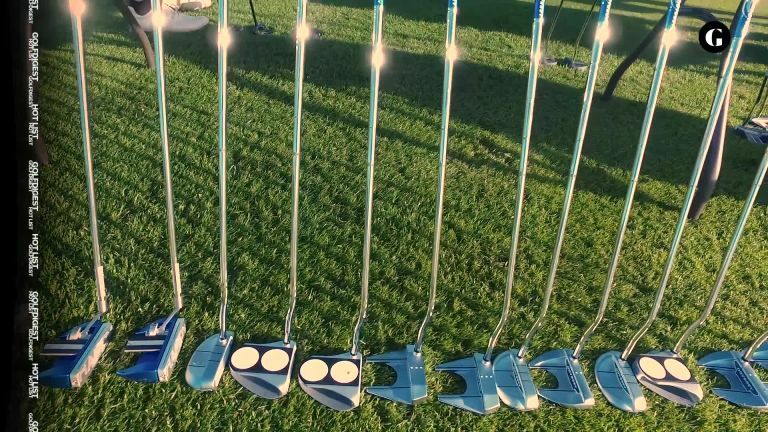 The Verdict: Designer Guerin Rife's new project claims that a mis-hit up to three-quarters of an inch off-center will roll as true as a center hit. How? Channels in the face, narrowing toward the heel and toe, increase the contact area for mis-hits to give them more energy, all while creating an inward shape to guide them back toward the middle or target line. The first club I've hit in which every putt rolled on line regardless of where I hit it on the face. This has range from all over, like Stephen Curry on a basketball court. Like the way the ball comes off the face. You get a lot of rollout and the ball tumbles easily. It's a good putter if you don't want to use your hands a lot and let the putter do the job. It starts out on a good line and stays there. Easy to line up and good, balanced feel. Very light sounding, not overbearing.